Around 14,600 eligible employees can expect a 3-8% increase in wages. Cathay Pacific’s cabin crew and ground staff can expect a hike in wages on top of a one-month bonus in 2019 despite the airline racking up financial losses of $263m in H1 2018, reports South China Morning Post. The announcement stated that 14,600 eligible employees would see an increase in their average base salary effective 1 January 2019. Most staff will receive a 3% pay rise, whilst junior flight attendants who are on hourly contracts and have worked for the airline for more than seven years are in line for an 8% increase. This is significantly higher than the 1% increase staff saw in 2018. The pay rise however, does not apply to pilots and Cathay Dragon cabin crew. The announcement came as negotiations between the company and its flight attendants union which began on 3 December came to a close. The Cathay Pacific Local Staff Union has also been in separate discussions on the pay issue with the airline since mid-October. On the other hand, the increase does not meet the 5.5% pay rise staff initially demanded. 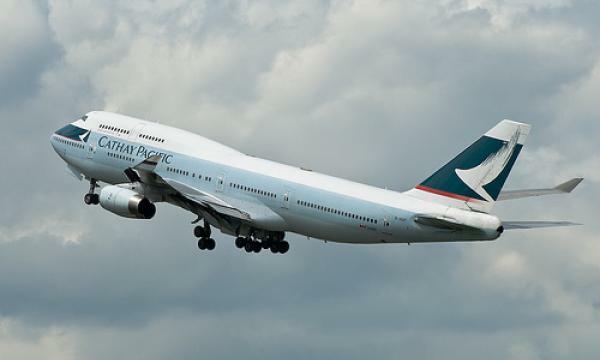 Cathay Pacific lost $263m in H1 2019 after coming off of two consecutive years of losses. In 2017, the airline axed 600 employees whilst seeking opportunities to boost productivity and generate new forms of revenue. In 2018, the airline added 1,800 jobs primarily in frontline positions such as cabin crew, pilots and ground staff whilst also cutting numerous workers overseas to save money. A 13th-month discretionary year-end bonus for 2018 will also be paid to eligible Hong Kong-based employees of Cathay Pacific and Cathay Dragon, the announcement revealed.